Even though he has been ill for some time, 55 is just too young to be passing away. His last game (Mario Maker) is to make our dreams come true, just like he did for us all those years. Iwata was a great man. May his soul rest in peace. 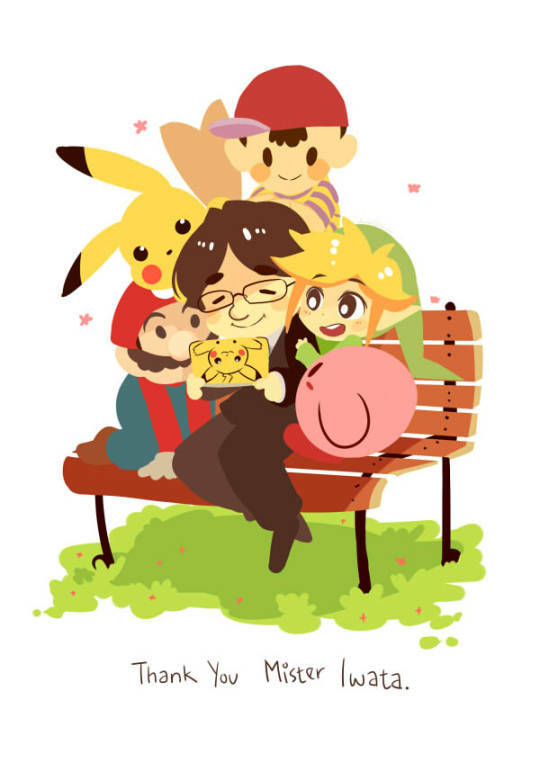 #ThanksIwata for everything you did for us. I have condolences for Iwata's family and Nintendo. It will take time to heal the void that was left in the world. Rest in peace, Mr. Iwata. Edited by trawesomeness74, 12 July 2015 - 08:45 PM. A guy who does stuff. Pretty accurate description, eh? R.I.P. He will be greatly missed. Thanks for helping to create games that shaped my childhood. I'll beat you so hard so fast you're gonna think you are surrounded! I'm very sad to hear that he passed, and I wish the best for his family and loved ones. That said, I'm very curious to know how Nintendo as a company will change because of his departure. Depending on who gets put in charge in his place, we could see some major policy and/or product changes. Compressed Pokemon GoldSilver to the point the team could fit Kanto. Debugged SSBM entirely in a week. He has done amazing things for the gaming community and has passed too soon. What is your Mouse Grip? Left or Right Handed? Cursive or Manuscript?